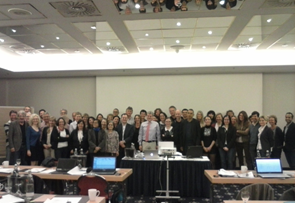 On June 21st 2016, the Helios Dr. Horst Schmidt Kliniken has submitted a proposal to the European Commission aimed at establishing the European Reference Network on Hereditary Metabolic Diseases (MetabERN). The MetabERN represents the first most comprehensive, pan-metabolic, pan-european, patient-orientated platform ever conceived, that will transform how care is provided to patients with inherited metabolic diseases (IMDs) in Europe. 69 EU nationally certified Healthcare Providers from 18 countries joined synergies to set up the MetabERN which will facilitate access to quality, affordable, cost-effective care across EU. “We will change the way care is planned and provided to patients by bringing the expertise of all relevant stakeholders, including Patient Organizations, directly to patients. We are pleased to count on the collaboration of the Society for the Inborn Errors of Metabolism (SSIEM), the most acknowledge international society in the field, which will bring ideas and innovation after his more than 2000 members worldwide. The SSIEM has endorsed the MetabERN and will play a major role in the planning of the activities of the network with the support of its experience and worldwide representation. At the moment, “only” 69 Healthcare Providers were admitted to the network, but the EC has promised that, soon after the approval, all the hospitals willing to participate can do so, according to the EC rules, we are inclusive, there is a huge amount of work to do and we open to any hospital which wishes to work with us giving their experience to the service of the patients” – said Prof. Maurizio Scarpa, Director of the Rare Disease Center of the Helios Dr. Horst Schmidt Kliniken in Wiesbaden, Germany, coordinator of the MetabERN. 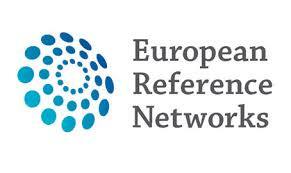 The MetabERN is responding to the call for the establishment of European Reference Networks (ERNs) launched by the European Commission as laid down in the Directive on the patients’ rights in cross-border healthcare. It aims to connect existing highly specialised healthcare providers across the European Union in the area of rare diseases. It represents 69 Founding Healthcare Providers from 18 European countries. Additional Members, bearing the endorsement of the proper national agency and fulfilling the EC requiremetns, will be admitted after the approval of the network by the EC. In fact, the MetabERN is an inclusive network, committed to strengthen the cooperation among its members with the shared goal of improving the treatment and care for all patients affected by rare metabolic disorders in Europe and around the world. Patient Organizations will work in close collaboration with Healthcare Professionals to map and understand patients’ needs and identify solutions. What is the focus of MetabERN? As known, IMDs are a group of more than 700 genetic and often lethal disorders affecting children and adults. Their diagnosis is often incorrect or delayed leading to wrong therapies that can harm the patients. Accurate and timely diagnosis demand highly specialised expertise, specific physical examinations, and appropriate multidisciplinary investigations. All IMDs, with no exclusion, are of interest for the MetabERN, independently from their prevalence, frequency and existing previous interest for research or therapy development. The structure of the MetabERN is such to portion the metabolic field into 7 subnetworks: 1) Aminoacid and organic acids related disorders; 2) Disorders of pyruvate metabolism, Krebs cycle defects, mitochondrial oxidative phosphorylation disorders, disorders of thiamine transport and metabolism; 3) Carbohydrate fatty acid oxidation and ketone bodies disorders; 4) Lysosomal disorders; 5) Peroxisomal and lipid related disorders; 6) Congenital disorders of glycosylation and disorders of intracellular trafficking; 7) Disorders of Neuromodulators and Small Molecules. The subnetworks will be articulated in disease-specific working groups in which professional and patient associations will collaborate to transversal programs common to all the subnetworks. 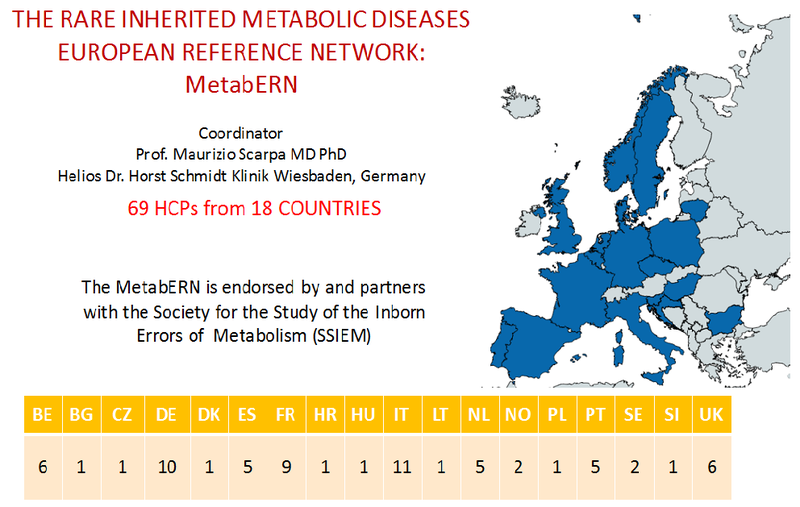 The MetabERN will ensure a join-up approach to care by bringing together pediatric and adult metabolic physicians across the EU to deliver the best available care to patients affected by IMDs at the patient´s bed. 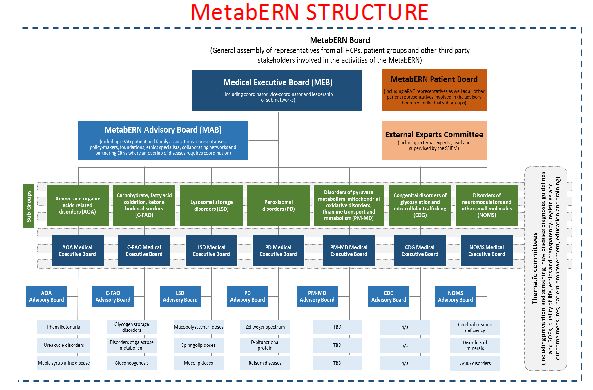 To this end, the MetabERN has established a multi-disciplinary and multi-stakeholder platform including Patient Organizations and Scientific/Medical Organizations to foster transversal program among the subnetworks aimed to improve standards of clinical management and strengthen referral systems, seek consensus on EU guidelines and Standard Operating Procedures, share knowledge in a structured way, generate epidemiological studies and registries, facilitate diagnosis of new diseases, empower patients and help the transition process from youth to adulthood, encourage virtual counselling, design new pathways for training and education, facilitate research programs and promote innovative clinical trial design for the development of innovative therapies and evaluate efficacy and safety of drugs in independent way. Furthermore, the MetabERN aims to help all patients to better access to therapy by helping the MS in designing an economical strategy for the sustainability of rare diseases. A full section of this website is restricted to B4B members only.